Why in the heck would any sane person want to be an anthropologist? State budget cuts have eliminated many anthropology classes at local community colleges and universities–so, so much for teaching jobs. The recession has stalled new construction projects that would of needed impact reports and cultural resource assessments as my public archaeology friends have told me. According to a friend of mine who is a principal at a public archeology firm, the contract archeologists he hires are so grateful for paid work, they don’t even ask him how much they’re getting. According to a recent study on college majors by the Center on Education and the Workforce (CEW) at Georgetown University, a degree in anthropology or archeology is the number one worst degree for one’s career. So, what was I thinking? Why did I go back to school for a second career in anthropology? I was inspired to pursue a masters in anthropology after having two children by three inspiring women. 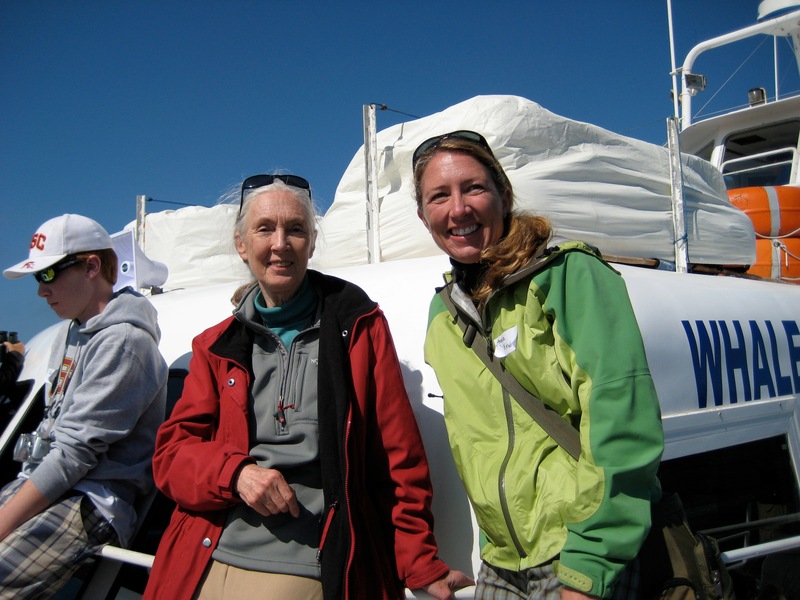 They are Dr. Jane Goodall, Dr. Penny Wallin, and my mother-in-law Diane Kirwin. I became inspired by Jane while working for her non-profit organization Jane Goodall Institute as a web project manager consultant. Before that I volunteered for her international youth service learning program called Roots & Shoots for several years. Meeting Jane and learning about her commitment to not only produce original research about chimpanzee behavior and become a respected scientist, but in turn dedicating her life to saving wild chimpanzees and all wild species, really inspired me to do more with my life. 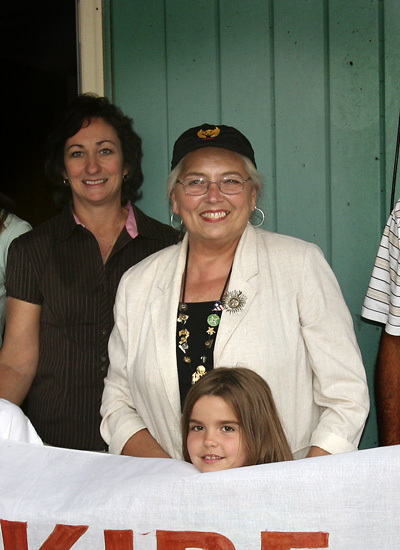 After being involved in the Hurricane Katrina relief effort in Mississippi I met Penny who was trying to get housing for families who lost their homes to the devastating hurricane. At the time, Penny was the Superintendent of Schools in Picayune– a small town near the Gulf Coast and the Louisiana border that took a direct hit from the hurricane and was nearly flattened in parts. I was inspired by her own story of inspiring others as an educator and getting a PhD in Education from Harvard University while raising her family. She could of had a successful career just as an academic at University of Mississippi or as an community educator and advocate. Instead, she is all those things while dedicating her life to helping young people have a better chance at life. Finally, I was inspired by my mother-in-law Diane Kirwin who grew up on the tropical island of Bermuda and came to the United States with a husband and five children. After her husband passed away, Diane had to take care of her kids, work full-time and figure out a way to put herself through college. She figured it all out and was awarded her Masters of Social Work. 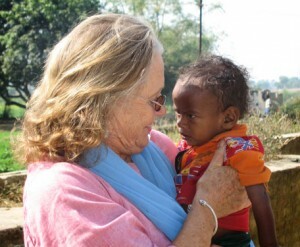 After “retiring”, at age 65, she went on a backpacking adventure through Southeast Asia and India ended up volunteering for a local educational non-profit helping Dalit children (lowest caste street children) in rural Bihar, India. Eventually, she founded an Indian Charitable Trust based in Bodhgaya with local Indian trustees and donors called KIRF INDIA and, together they built the Kirwin James International School in the village of Shekhwara. She did this after she retired. 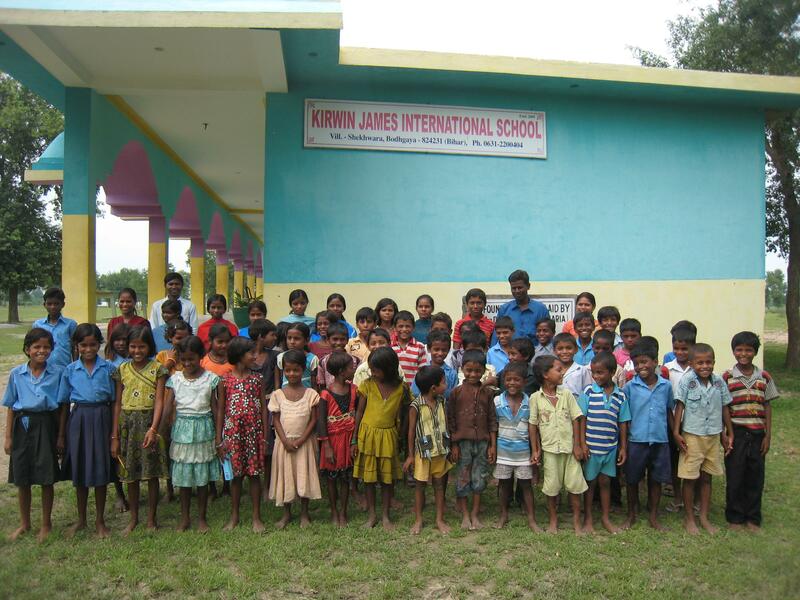 Right now my husband and I support the KIRF Sewing Center at KIRF INDIA’s Kirwin James International School with in-kind donations of sewing machines, materials and funds to pay the sewing teachers. The Sewing Center has become a popular vocational training program with a waiting list to get in. It gives young women in the area a valuable skill that is both appropriate for their traditional culture and free. With an education and a vocational skill these women can better provide for their children in a part of the world that suffers from chronic generational poverty. I believe that no matter how young you are or how old you are, everyone has a role to play. Anyone can make a difference in making the world a better place.